Over the weekend, while perusing a selection of work by emerging and mid-career artists showing in various East Village galleries (with and without air conditioning), I noticed many ceramic and textile pieces being exhibited along with the paintings, photographs, sculptures and installations. During the last few years, the oft-finicky art world seems to have developed an appreciation for arts that are often labeled crafts: innovative and skilled work in ceramics, beading, fabric, glass, wood and jewelry. 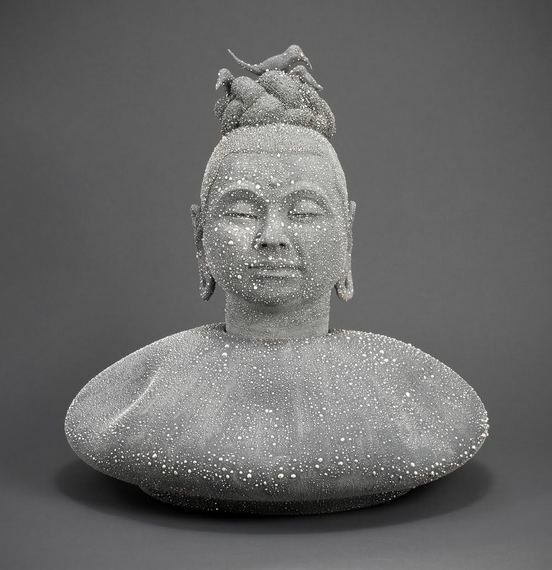 In 2013, the late Ken Price was the subject of a retrospective at the Metropolitan Museum of Art and LACMA; the Met referred to his works as 'sculptures', which of course they are, but they are also ceramics, uniquely painted biomorphic ceramics. In Britain, potter Grayson Perry won the 2003 Turner Prize given each year to a visual artist under the age of 50 and organized by Tate. And the esteemed beadwork artist Liza Lou, a veteran of numerous museum exhibits, became a recipient of a MacArthur 'Genius' Fellowship in 2002. 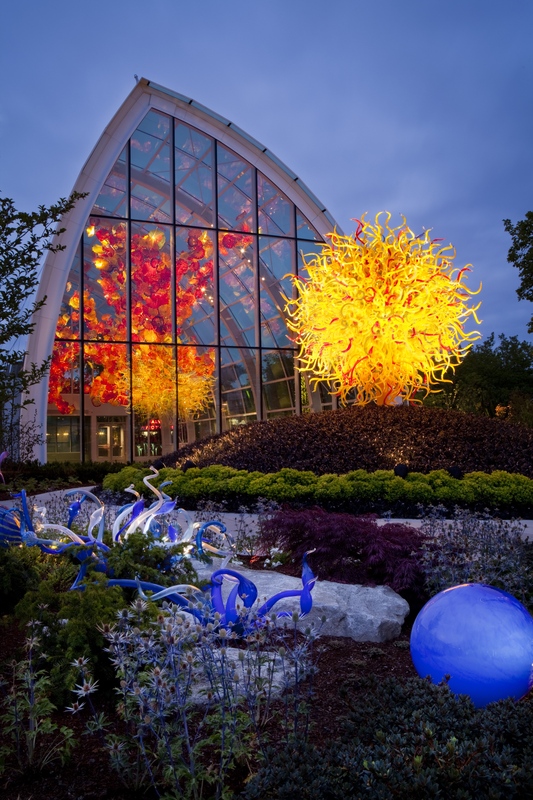 Glass master Dale Chihuly is another example of an artist who transforms a traditional craft, glass blowing, into fine art. Pieces relegated as 'craft', based upon media rather than artistry, are finally being embraced as equally worthy to 'art'. 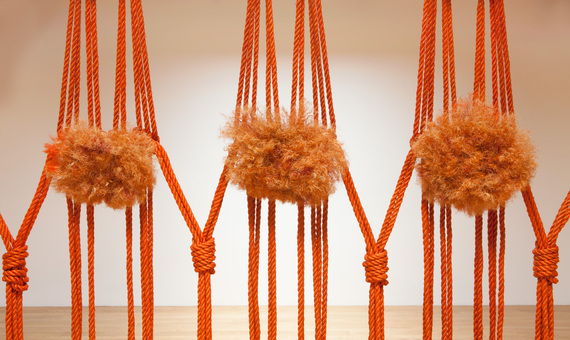 And as a reaction to the fact that some contemporary artists are using less and less personal handwork (and more and more assistants and outside fabricators), there seems to be a new appreciation for manual creativity. New York's Museum of Art and Design is now showing the Antwerp based Studio Job, which, according to the museum's site, features "a variety of media and forms, including art objects, furniture, sculpture, lighting, interiors, and wall and floor coverings." 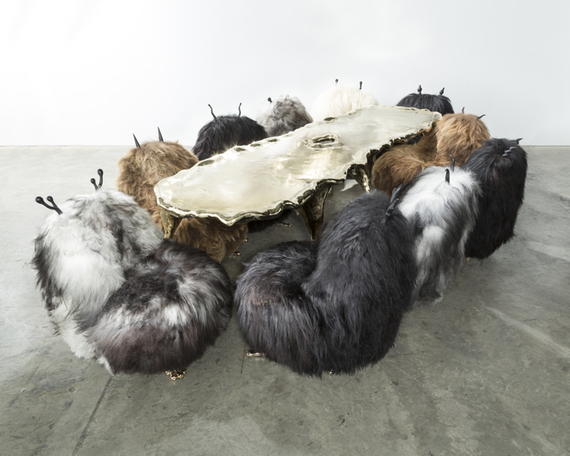 The incredibly inventive and very young (b.1984) Haas Brothers have developed an international reputation for turning their whimsical sociocultural furnishings into high art (although they don't consider it that.) The Austin bred and Los Angeles based twins will be presenting their new work in November at R & Company in New York. From a historical perspective, it's important to point out that since the beginning of humankind, crafts have been an important and integral part of our quotidian routines. For milenniums, we have created drinking vessels, woven cloth, fashioned shoes, sewn skins, carved arrowheads, blown glass, invented ceremonial objects and produced jewelry, head decorations and clothes. Items utilized for everyday life naturally evolved into commercial products that were essential to trade and for basic survival. Eventually, painting and sculpture found permanent homes in places like the Vatican and the Louvre, and fine artists began receiving recognition and a measure of wealth, whereas artists working as craftsmen, as blacksmiths and potters, continually took a back row seat to what was acknowledged as fine art. Gerrit Duykinck (1660-c.1712) was the first Colonial artist to call himself a 'painter' rather than a 'craftsman'. Over time, machine-made ware replaced highly personal and hand-forged, painted and decorated household items. Plastic cups and factory woven blankets replaced our cultural and esthetic artisanal bounty. The Arts and Crafts movement emerged during the late Victorian period in England, when anxieties about increasingly industrialized products fueled a positive reevaluation of handcraftsmanship and the inherent qualities and traditions of manmade objects and decorative design that celebrated fine workmanship. The American artist Alexander Calder was deeply influenced by this movement. He was concocting toys and jewelry long before he began painting and inventing his legendary mobiles and stabiles. Without today's increasingly active craft-oriented community, products that we take for granted, such as numerous utilitarian objects built from handmade tools, rather than via machine or sweatshop, would have disappeared. The announcement of the Palm Beach Fine Craft Show being acquired by the Palm Beach Show Group, a leading producer of fine art, antique and jewelry shows, was certainly good news for the international craft community as it will place high end craft next to vetted art and antique booths. The Palm Beach Show Group intends to elevate the Fine Craft Show, already one of the leading events of this type, to an international contemporary craft event on par with the top art fairs. The newly inaugurated Palm Beach Fine Craft Show will return to the Palm Beach County Convention Center for its 14th edition in February. Fine arts and fine crafts will be exhibited simultaneously, as they deserve to be. 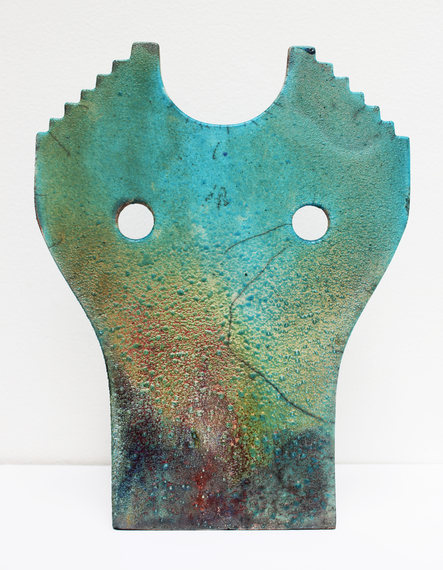 The Florida show will include unique ceramics, textiles, carved wood and metal objects, furniture and jewelry. The recent Frieze art fair in Manhattan showcased a multitude of craft-oriented pieces, including work by Roni Horn, who studied glass blowing with Dale Chihuly, with her two donut-shaped translucent cast glass sculptural objects selling for $975,000 each at Hauser & Wirth. The activist Chinese artist Ai Weiwei's one million ceramic sunflower seeds, exhibited several years ago at Mary Boone Gallery, are dramatic departures that triumphantly succeed on a high curatorial level that assimilate the time honored energy and panache of the craft tradition. 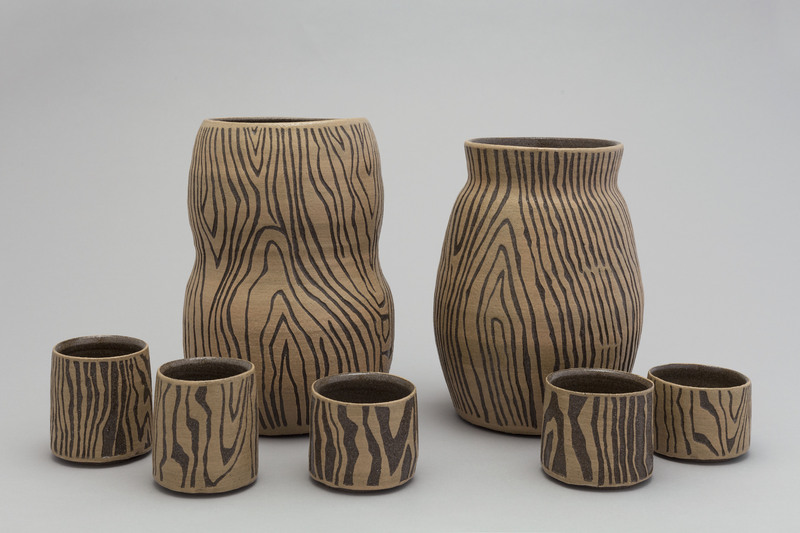 In a show at Blum & Poe in Los Angeles, Shio Kusaka exhibits hand painted wood grained designs on ceramic sake cups. Multi-media artist Pia Camil's high fired mask-like totems were featured in her solo show at the New Museum and are on display at Blum & Poe, New York. 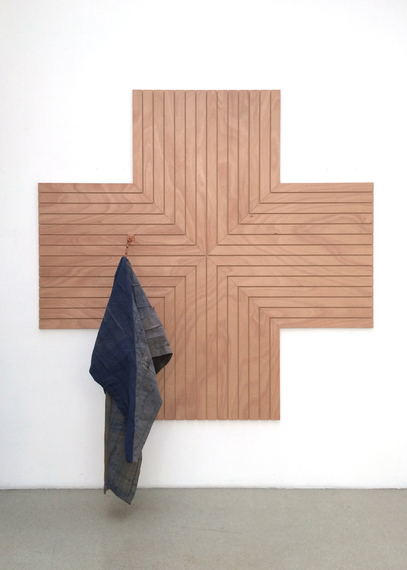 Last year, fiber artist Francoise Grossen held her first gallery survey at Blum & Poe after a 40 year career. Edmund de Waal, the British author of the bestselling 'The Hare With Amber Eyes', has a concurrent calling as a potter creating impeccable porcelain vessels, represented by Gagosian Gallery. 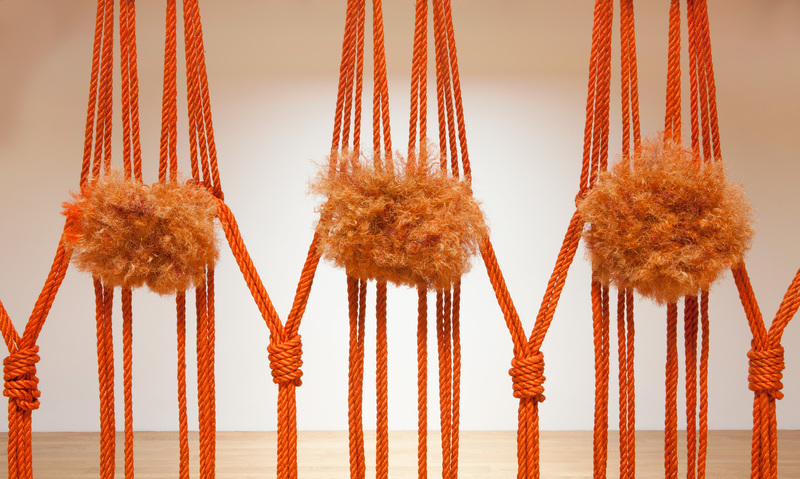 These showings are a market barometer of acceptability and assimilation into mainstream galleries. It should be noted that Martin Puryear's wood based sculptural forms are on view at the opening show of the San Francisco Museum of Modern Art complimenting adjacent works by Calder. Puryear, represented by Matthew Marks and also a MacArthur Fellow, may be the major contemporary artist who best exemplifies the art-craft mélange. His current retrospective at the Smithsonian exhibits 72 of his highly organic objects including 14 sculptures, which merge traditional craft with contemporary art. Puryear also has a massive 40' anamorphic wood and chain link sculpture on view in New York's Madison Square Park, through January 8, 2017: 'Big Bling'. Last year's breathtaking Picasso sculpture exhibit at MOMA showed the great master incorporating crafts into his work. His glazed ceramic vessels could only be Picassos. Craft or art? Why not both? Art should be about the eye of the artist, the soul of the artists, the passion of the artist....and sometimes the hand of the artist. The forward motion of contemporary crafts, with artists working traditional materials including clay and wood and glass, continues to offer encouraging evidence that a hybrid of crafts in art is here to stay and that purely unadulterated works whether crafted from a lathe or a potter's wheel continue to be influential and appreciated. After all these years of deliberately separating crafts from fine art even though in many respects both disciplines are quite compatible, it should not be surprising that more and more we are seeing first rate museums and galleries incorporating traditional craft mediums into their exhibition schedules.